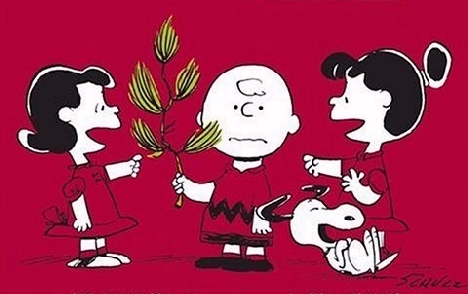 As America settles in tonight for the 45th broadcast of "A Charlie Brown Christmas," YouTube is revealing one of Charlie Brown's strangest secrets. Though it was the first animated Peanuts special, it followed a six-year period where the whole gang was recording commercials for Ford Motor Vehicles. Year after year, Ford cranked out animated Peanuts advertisements for their cars, plus a Ford-sponsored variety show (that was hosted by Tennessee Ernie Ford). Was Schulz finally getting back at his advertisers through A Charlie Brown Christmas? » Schroeder and "The Ford Show"
In a strange twist, the Ford ad campaign itself was originally the idea of a small child, according to Lee Mendelson's 2000 book, A Charlie Brown Christmas: The Making of a Tradition. An advertising agency executive had brought his young granddaughter to work, and when she'd overheard he was looking for a new character to endorse Ford's cars, she'd suggested, "Why don't you use Peanuts?" Then the grown-ups got involved, and eventually Schulz himself had said, 'Sure, I don't mind doing that because the only car I've ever driven was a Ford." But you have to wonder if Schulz secretly felt ambivalent about the cartoons. When Ford's animator first arrived, along with an executive from his advertising agency, Schulz greeted them with a sardonic sign on his home that said "Welcome New York, Welcome Hollywood." By all reports, he was a sincere and spiritual man, and throughout his career, he even kept his home phone number listed in the local phone book. After five years, maybe Schulz saw A Charlie Brown Christmas as his chance to finally send a message of his own. They'd recorded the childrens' voices for the whole show in just a few hours, according to Melendez's book. (Peter Robbins, who gave Charlie Brown his voice, remembered that "It was very strange for an eight-and-a-half-year-old to pretend to be depressed about Christmas, the most joyous time of the year!") Christopher Shea, who played Linus, mostly just remembers producer Bill Melendez howling to create the voice of Snoopy. Yet the show ultimately won both an Emmy and a Peabody award, and eventually its popularity spawned another 45 animated Peanuts specials, along with four animated Peanuts movies and even two different Broadway musicals. 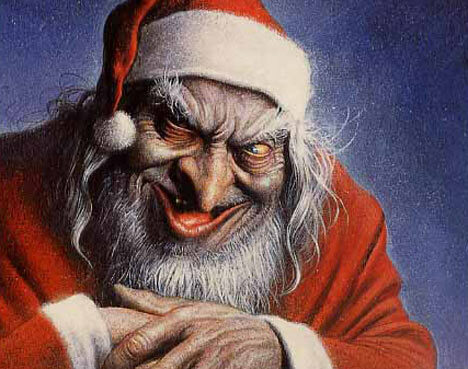 But its success is even more ironic when you consider its very clear message about not commercializing the holidays. ("The half-hour special first aired on Thursday, December 9, 1965," notes Wikipedia, "preempting The Munsters and following the Gilligan's Island episode 'Don't Bug the Mosquitos'.") But in Hollywood on the same day, both the Daily Variety and Hollywood Reporter ran the producers' ad sharing "Our special thanks to the Coca-Cola Bottlers of America Who Have Made it All Possible." And another ad in TV Guide reminded viewers the innocent characters were "Brought to life...and presented to you by the people in your town who bottle Coca-Cola." But what's even stranger is that originally, the Coca-Cola logo actually appeared in the cartoons themselves! "In the 'fence' scene, where several of the Peanuts gang are attempting to knock cans off a fence with snowballs, Linus is seen knocking down a can with his blanket," Wikipedia reports, adding that "In the original airing, this was a Coke can..." There's also a deleted bit in the skating scene, right after Snoopy grabs Linus's blanket and hurtles Charlie Brown into the snow under a tree. In the deleted scene, Linus is hurtled in the other direction, into a sign which Wikipedia reports originally read "Coca-Cola." "Although the FCC eventually imposed rules preventing sponsor references in the context of a story (especially in children's programming), this had no effect upon the decision to impose these edits. The Coca-Cola product placement elements were removed when the company ceased being the sole sponsor, replaced in 1968 by Dolly Madison snack products, who continued to sponsor the Peanuts specials through the 1980s, along with McDonald's." In fact, originally the special ended with the Christmas carol — "Hark, the Herald Angels Sing" — being interrupted by the following voice-over: "Brought to you by the people in your town who bottle Coca Cola." "This is very ironic," commented one user on YouTube, "considering how the whole special is denouncing commercialism..."
35 years later — on the night before he died — a 77-year-old Charles M. Schulz was discussing the Christmas special one last time with the man who'd co-produced it, Lee Mendelson. Schulz was excited about a book they were preparing together about the special, and his feelings about it were still very clear. Over the decades they'd produced 45 animated specials, but Schulz always insisted that the Christmas special had been his favorite. And in his book, Mendelson would also take a moment to remember something else that Schulz had told him years before. "There will always be a market in this country for innocence."